Dwell Magazine has partnered with some very well-known architects and builders to develop a signature line of prefab homes. The homes not only focus on sustainable design and building, but look amazing as well. 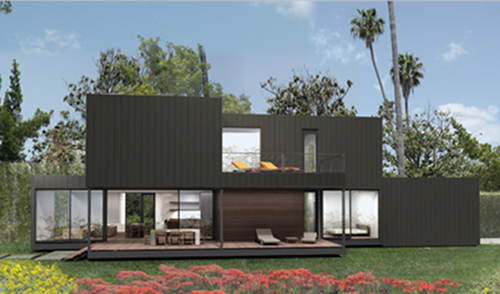 Turkel Design in collaboration with Lindal Cedar Homes and then Marmol Radziner Prefab each designed three modern prefab homes to be featured as part of the Dwell Home Collection. 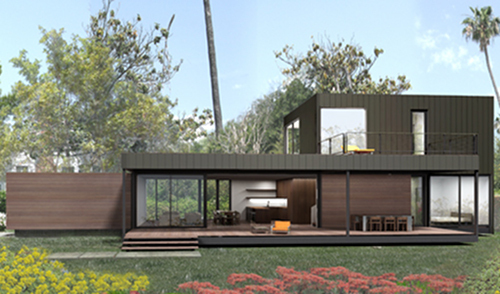 Dwell’s recent selection of these particular prefab home designs indicates the quality of design, modern amenities and most importantly the integration of sustainable features to create a efficient and eco-friendly home. 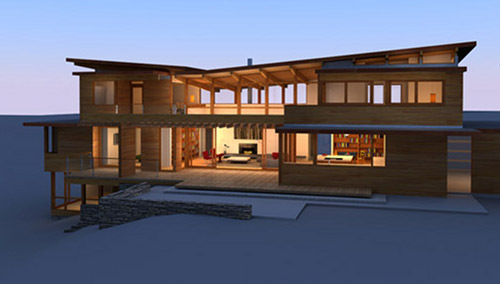 Marmol Radziner has been incorporating prefabricated elements into its buildings since 1996. They built their first prefab home in 2004 and ever since have been improving their design and fabrication methods. Their prefabricated modules are factory made and shipped whole to the site complete with windows, doors, interior and exterior finishes. This helps minimize waste during the construction process. For the Dwell Home Collection, Marmol Radziner designed the Skyline series, which are customizable homes with six different configurations, ranging in size from 1,755 to 3,180 sq ft with one or two stories. The Skyline series features a number of sustainable design elements, including extensive use of wood that is FSC certified. Cabinets and interior finishes are built with recovered and recycled content fiber as well as formaldehyde free. All kitchen appliances are Bosch and Energy Star rated as is the HVAC system. Floor to ceiling windows are double pane and low-E and let in a lot of daylight. The doors and windows are also optimized to and located to encourage natural ventilation. Solar photovoltaics systems as well as radiant heating are optional features, but highly recommended. All Marmol Radziner homes are designed to receive LEED certification, although the exact rating depends on the location of the home. 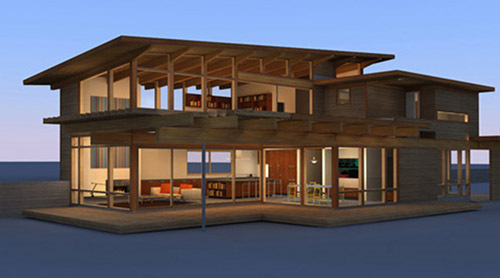 Joe Turkel already designed a signature home for Dwell back in 2005 called theNextHouse. Even at the time it was an advanced prefab home full of many sustainable elements. 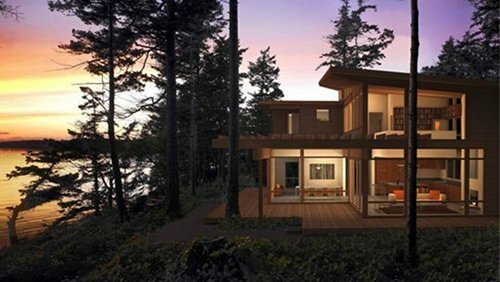 Now Turkel has teamed up with Lindal Cedar Homes, a home builder known for their post and beam homes as well as their energy efficient homes. In fact, Lindal Cedar Homes along with Turkel Design were recently named for architecture in Time Magazines Green Design 100. 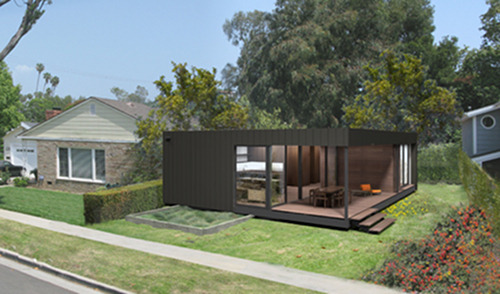 Three of their designs were chosen to be part of the Dwell Home Collection due to their efficient and modern design. Homes vary in size from 2,100 to 2,700 sq ft.
Lindal Cedar Homes is very committed to green home building and have 17 green principles by which they build their homes. Their homes have a strong focus on natural lighting and a connection with the outdoors through their use of large decks and outdoor living spaces. Lindal and Turkel only use responsibly harvested wood for the homes along with an efficient manufacturing process in a factory that minimizes the use of natural resources. With 60 years of experience in building homes, Lindal has even developed and patented a number of building processes that make the homes even more efficient. During the design process, designers focus on site layout, solar gain, and natural ventilation. Only energy efficient appliances and systems are installed and the home can be delivered all in one load to reduce transportation. Both series of homes for the Dwell Home Collection are modern and simple in design, but also approachable for the average person. Prices for these homes are definitely out of range for the average home builder though. While the designs are great, accessible and eco-friendly, their price will be hard for many to swallow.